Making Oral Biologics a Reality. Rani Therapeutics has developed a disruptive technology for the oral delivery of biologics including peptides, proteins and antibodies. Delivery Equivalent to Subcu Injections. We have tested the Rani platform with several molecules. Our preclinical studies consistently show bioavailability is on par with SC injections. We believe Rani’s approach will transform the market, and we are on the way to proving that it is nothing short of a breakthrough. Watch our video about the RaniPill™ capsule. Rani has Developed an Innovative Approach to Biologics Delivery. Millions of patients with chronic conditions require biologic drugs that today can only be injected. These injections are painful and inconvenient and often affect both patient compliance and quality of life. The pharma industry has been searching for decades to convert injectables into pills, and we believe the solution is the RaniPill™ capsule. 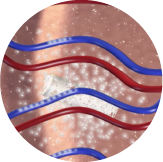 Our preclinical studies have demonstrated delivery equivalent to subcutaneous injections with several molecules, and we are currently planning for human clinicals. Find Out How Our Pill Works. 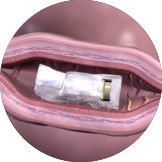 The RaniPill™ capsule is swallowed by the patient and makes its way past the stomach to the intestine. Once the RaniPill™ capsule reaches the intestine, it activates revealing the delivery mechanism. 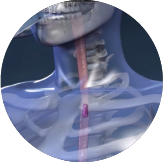 The drug is absorbed as efficiently as a subcutaneous injection. Basal insulin or “background insulin” is used in diabetes management as a way to regulate glucose levels in between meals. Glucagon-like peptide-1 agonists or GLP-1 mimetics are a class of drugs used in the treatment of Type II diabetes and obesity. Human Growth Hormone (HGH) is a peptide hormone that stimulates growth, cell reproduction and regeneration. Human Interferon beta -1a is a cytokine or small protein in the interferon family used for the treatment of multiple sclerosis. There are a number of therapeutic antibodies targeting a number of interleukins including IL-6, IL-13, IL-17, IL-22 and IL-23. Octreotide can lower levels of excess growth hormone for the treatment of acromegaly. Commonly used for the treatment of osteoporosis, PTH increases the concentration of calcium in the blood. TNF-alpha (TNFα) inhibitors suppresses response to tumor necrosis factor, part of the inflammatory response. A treatment for cardiovascular disease, PCSK9 is used along side other therapies to lower low-density lipoprotein cholesterol. Our goal is to commercialize the RaniPill™ capsule to help millions suffering from chronic diseases. The Rani platform is capable of delivering a wide range of biologics for the treatment of various chronic diseases. The RaniPill™ capsule has broad applications for the treatment of diabetes, rheumatoid arthritis, psoriasis, plaque psoriasis, ankylosing spondylitis, ulcerative colitis, Crohn’s disease, hemophilia, acromegaly, multiple sclerosis, osteoporosis, hyperlipidemia, among other diseases.